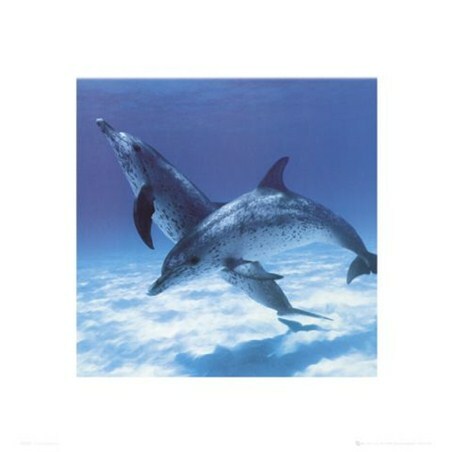 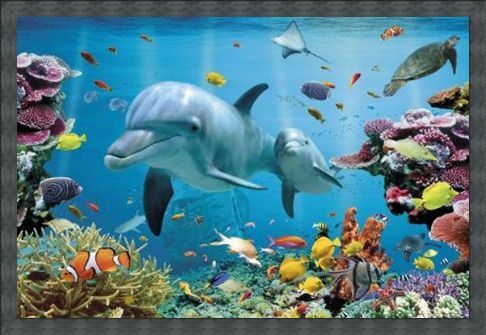 Art Maxi Poster: Dolphins are magnificent mammals with playful and friendly personalities. 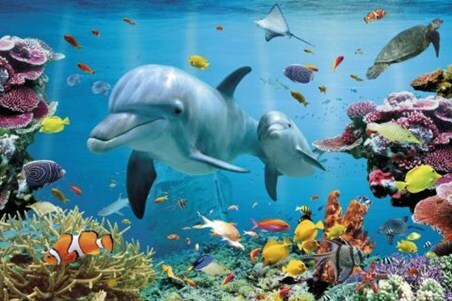 This can be seen in this stunning poster as a bottlenose dolphin and her calf swim through the sunlit tropical waters. The dolphins glide through the vibrantly coloured coral and are accompanied by a vast array of other underwater creatures such as sting-rays, fish, turtles and sharks. 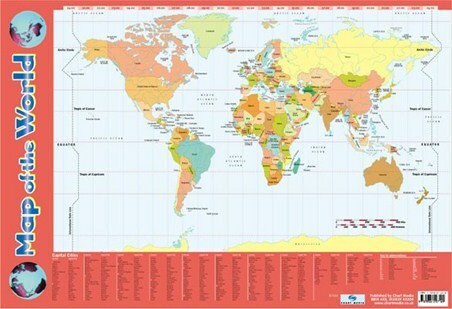 This is an extremely colourful and fun poster which is perfect for any animal lover! 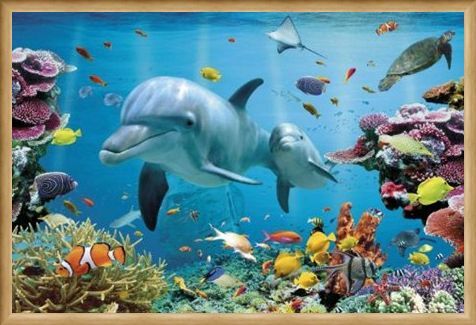 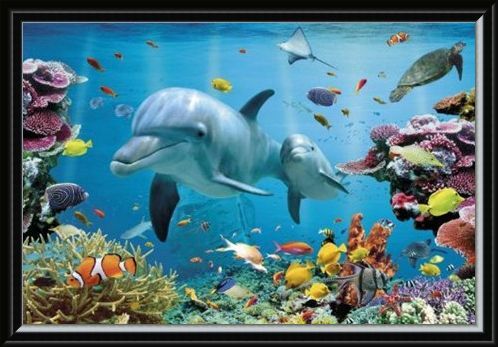 High quality, framed Underwater Dolphin Fantasy, Tropical Dolphins poster with a bespoke frame by our custom framing service.